This book reassesses the reign of Said bin Taymur, who was deposed by his son, Qabus bin Said, in a coup in July 1970. Contemporary historiography of the period of Saids rule (1932-1970) views Oman as medieval and isolationist; Qabus later government is seen as progressive and enlightened, with his ascendancy to the throne often described as the 'rebirth of Oman' from its 'medieval slumber' into a thriving and prosperous Sultanate. This study refutes the prevailing view that Saids four-decade reign should be perceived as a place where time stood still. 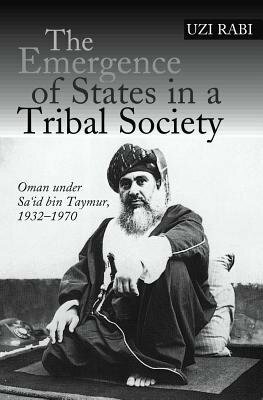 The author offers a critical look at the economic, political, social and cultural aspects of Oman during the reign of Said bin Taymur. The book mainly focuses on tribe-state relations, emphasizing their dynamic interaction, with particular attention paid to the relationships between the tribal groups. Uzi Rabis book reinterprets a significant timescale in the modern history of the Arabian Peninsula and pre-oil societies, and will be essential reading for both students and scholars of Middle Eastern history, culture and society.